We protect our homes in so many ways. With smoke sensors, door locks, and security systems. But more homes are damaged each year by small leaks than by devastating fires or burglaries. Water Sensor 6 changes that, using Z-Wave Plus to silently monitor areas of your home at risk of water and then taking action when the worst occurs. Water Sensor 6 monitors your home. 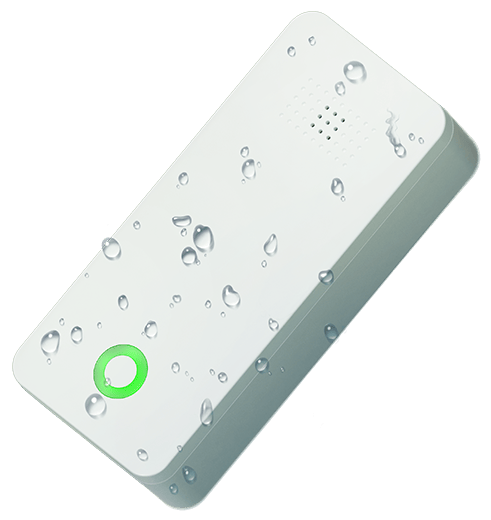 Water Sensor 6 helps protect your home. In the event of a pipe burst, use Water Sensor 6 to turn off electronic water valves via Z-Wave. When water is detected, turn on electronic sump pumps your gateway or Z-Wave switches. Water and electricity don’t mix. Protect your home and family by turning off electronics in the event of a leak or flood. *Protective actions wiould require a Z-Wave network and additional devices.